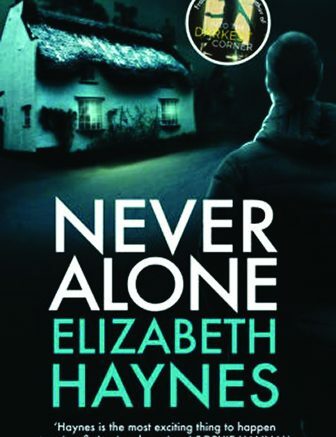 This fantastic book by Elizabeth Haynes cannot appear on bookshelves soon enough. Truly exciting, this is one title that’s sure to be on top of all summer “must-read” lists. We begin with Sarah Carpenter. Living on the moors of North Yorkshire, she spends her time in a farmhouse with her two dogs. Sarah has had rough times in her past, most especially the death of her husband. Now comes the time when her two children, Louis and Kitty, are packing up and leaving for the university. In other words, the farmhouse is about to become more than a little isolated. Upside for Sarah is the fact that she does have friends and support, even a very best friend by the name of Sophie who she can rely on to be there for her. Lives certainly change on a daily basis, and although Sarah has lost her children to adulthood for a time, a new person comes into the area that may alter her own personal romantic future. His name is Aiden Beck, and he’s no stranger. Looking for somewhere to stay for a while, Sarah offers up a room and looks forward to spending time with him. Sarah, however, seems to be the only one happy with Aiden’s appearance. Her children are wary of this man’s motives and Will Brewer, a friend, has taken it upon himself to check up on Sarah as often as he can. Even her relationship with Sophie has become a bit distant since Aiden’s arrival. Drama enters quickly: Sophie disappears, winter weather is closing in, and even Kitty goes missing. Sarah finds herself a bit frightened as the odd and dangerous things seem to pile up as quickly as the snow outside. And when Mother Nature blocks the road and takes away any chance of Sarah leaving the farmhouse, Aiden’s motives come to light. A truly great read, Haynes has hit it out of the park once again! 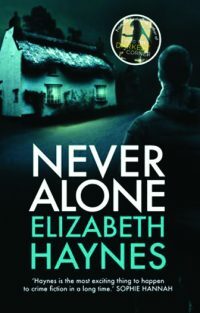 Be the first to comment on "“Never Alone” by Elizabeth Haynes"